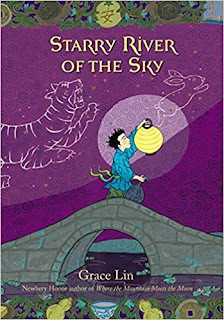 Review: This is a book of Chinese mythology told using stories within stories. My 9 year old self with have loved this. My 39 year old self (omg I'm old!) found this cute but boring. I found myself skimming quite a bit. Overall, a good choice for your child in grades 3-5.